Liatris flowers open and mature from the top of the spike downward. 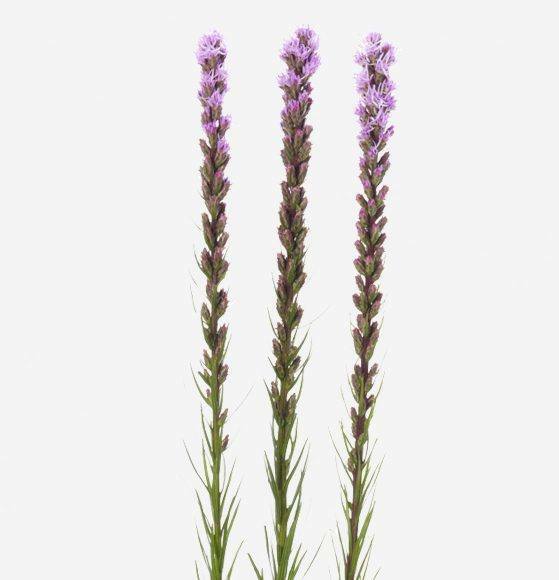 The tiny purple flowers form a tall, narrow spike that has a feathery appearance, and the foliage along the stem is grass-like. Designers tend to use a single vertical or horizontal spike of Liatris in a design.